How do I copy songs on iPhone without iTunes? Honestly, iTunes is one of the ultimate tools to copy music on your iPhone and to manage your music. But, the downside of iTunes is that you have to pair your system with your iPhone. In other words, you need to sync your iPhone with the paired system. Otherwise, you will lose your music files on your iPhone. So, in this case, people often look for iTunes alternative or another way to copy music to iPhone without iTunes. Luckily, there are some ways you can use to copy your music to iPhone without iTunes. Here, in this article, we have compiled all possible ways on how to copy music to your iPhone without iTunes. The best iTunes alternative to copy mp3 to iPhone without iTunes is iMusic. 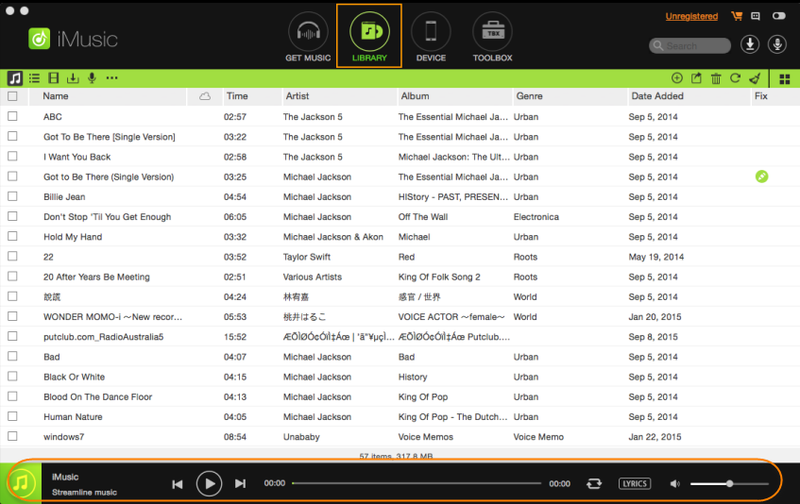 It is all-in-one music manager software that let you download music from more than 3000 sites. After that, you can simply connect your iPhone to copy downloaded music to your iPhone for offline listening. Even though it is simple music manage and transfer tool, yet it is powerful one over other tools. That’s why it is worth to have this music downloader and manager tool for music lovers to explore and download unlimited songs. 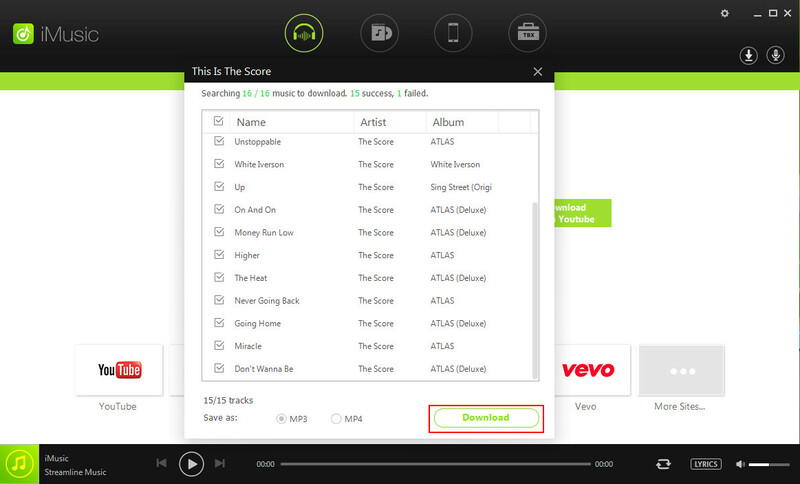 In fact, the tool comes with a built-in library that allows you to download the hottest music for completely free. Apart from ios devices, it also has compatibility for Android devices. Copy Mp3/Mp4 to iphone without itunes Easily. Copy music, videos, playlists, and many more from PC/Mac to iPhone iPad, or iPod touch. Download music from DailyMotion, YouTube, Spotify, and many more sites for free. 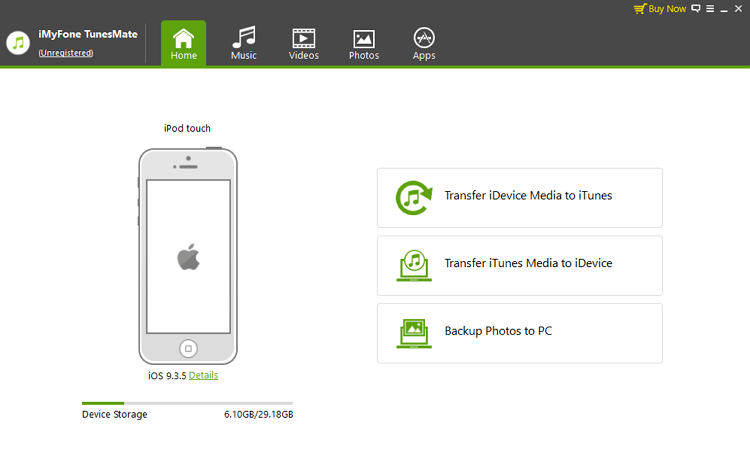 Transfer files, such as music, videos, playlists and many more from iOS devices/ Android devices to PC/MAC/ITunes. Record any music that you play on your computer and from Radio stations. 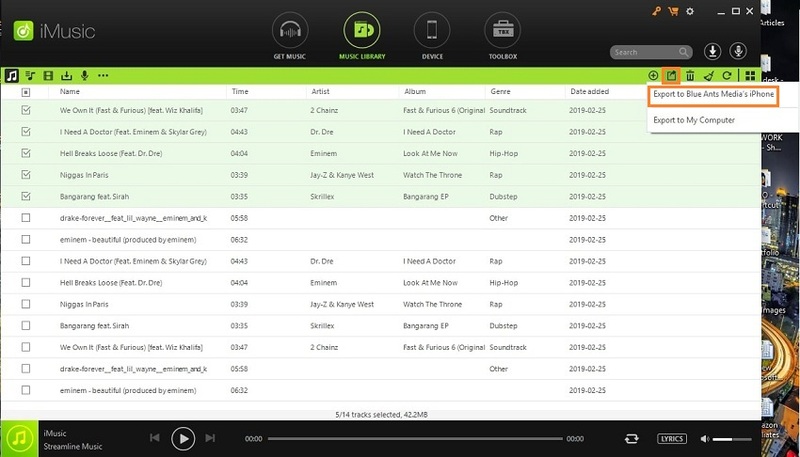 Create a music library from various online music websites to enjoy offline and anywhere. After downloading the software on your system, install it and run it. 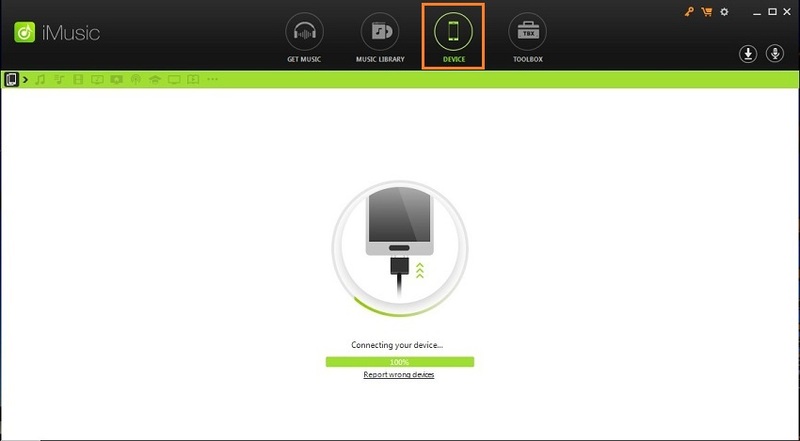 Once it is installed successfully, tap on “Device” icon and connect your iPhone to your computer using a digital or USB cable. Note: Before you connect your iPhone to the system, turn off the “automatically sync” option in iTunes Preferences from your iTunes library. Once the software detects your connected iPhone, you will get numerous options. But, you need to click on the “Music” icon as shown in the figure. Next, all music files in the iTunes library are shown there to the software interface by default. Select the songs you want to copy to connected iPhone, and then, tap on “Export” icon i.e. at top-right>select “export to (your iPhone name)”. That’s how you can copy your music to your iPhone. Amazingly, if you also want to copy music from iPhone 5 to iTunes, then the software is capable of doing this also without any hassle. There are a lot of services beyond Apple official that can copy music to your iPhone. 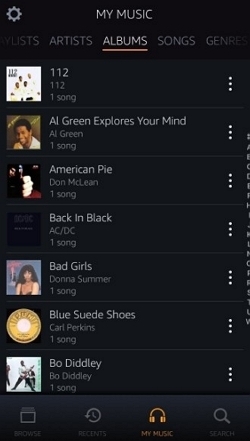 And Amazon Music is one of those services you can use to copy music to your iPhone. In fact, it is a cloud music service that allows you to upload 250 songs to the cloud for free, and you have to pay if you want to add more songs. If you want to copy music to your iPhone from Amazon Music app, then you need to opt for its prime membership that will let you download unlimited songs from Amazon Prime and then, you can keep them on your iPhone for offline listening. Step 1 : Go to the App Store on your iPhone and then, look for Amazon Music with Prime Music App. Next, follow the instructions to download and install the app on your device. Step 2 : After that, run the app once installation is done and then, log-in to the Amazon Music account that contains the music you want to copy to your iPhone. Step 3 : Next, click on the three-dot icon i.e. next to the music title to copy music. After that, choose the “Download” option from the pop-up menu. You need to pay for Amazon prime music to download unlimited music to your iPhone. Music you downloaded or copied from Amazon Music to your iPhone can be played in the Amazon music app only on that iPhone. This all means that you can’t play them from your iPhone music app. You can’t export downloaded music from Amazon Music app to other devices. Another way to copy music to your iPhone without iTunes is DropBox. 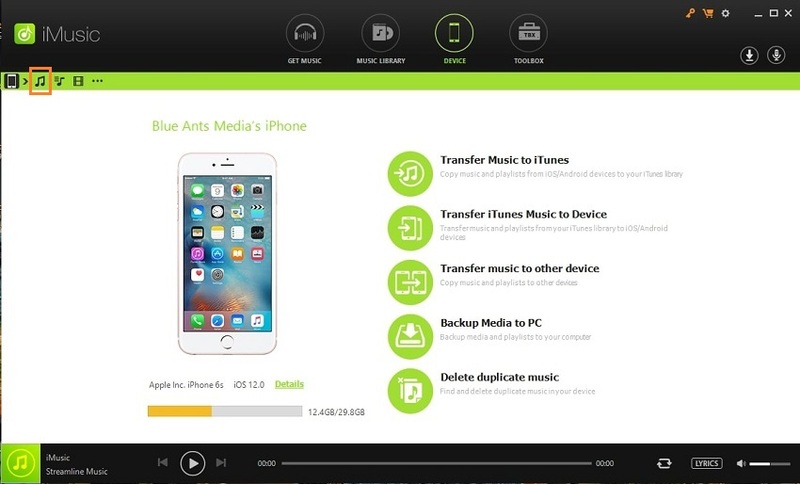 It is a cloud storage service that is completely free to copy, and play music on your iPhone within 2 GB. It supports music in .aiff, .m4a .wav and .mp3 format. To add more songs over 2 GB, you need to pay for it. However, if you don’t want to pay and also, wants to add more music, then iMusic is a viable way for you. If you have your music on DropBox, then you don’t require any apps to play them. And all you have to do is to sign-in to your DropBox account and choose the song you want to hear. However, you can also download the DropBox app from App Store on your iPhone and then, copy music to your iPhone with DropBox. Step 1 : Download and install the DropBox app on your iPhone. Next, run the DropBox app. Step 2 : You can listen to songs right away or you can mark songs as “Favorites” to make them available offline when you don’t have internet access on your iPhone. You get only 2 GB free to save songs to your DropBox account. You need a stable internet connection to copy music to the iPhone using DropBox. Sometimes, it becomes hard to locate target files on DropBox. 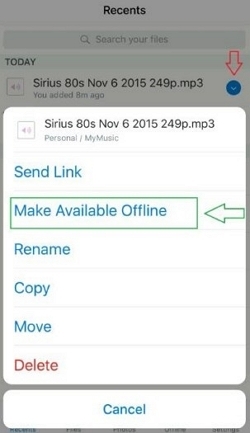 You can also copy music to your iPhone using email. In this case, all you need to do is to email the music file you want on your iPhone to yourself. After you email yourself, access your email account on your iPhone and download the attached music file to your iPhone. Step 1 : To begin the process, download the music file to your computer you want to send. This file must be a video, not audio. Step 2 : Then, email the downloaded music file to yourself. Step 3 : After that, open your iPhone inbox and then, download the music file you sent to your iPhone. And save the file to your iPhone camera roll. With the email method, you can copy only the video music file. This method can be quite time-consuming when you want to copy a large number of music files. Even though iTunes is the official way to copy or add or transfer music to your iPhone, it has many downsides and that’s why Apple users should not use iTunes to copy music to iPhone or to copy music from iPhone to new iTunes. The newly added songs to iPhone delete the old one for sure. You cannot sync music from different iTunes library to the same iOS device. Otherwise, you will lose your existing files. You can copy only purchased music from iPhone, and all kind of music can’t be transferred or copied. You are not able to copy one song to iPhone from iTunes. There are some iTunes restrictions that don’t allow the users to copy music to the iPhone from iTunes. Copy MP3/MP4 to iPhone without iTunes with Simple Clicks. Conclusion: That’s all on how you can copy mp3 to iPhone without iTunes. This guide has covered many methods to copy music to iPhone without relying on iTunes. Now, it is up to you which one you want to use. However, iMusic is the most recommended way as it can copy other media files also apart from music to your iPhone from computer or iTunes. Moreover, you can use the tool to download your favorite music from popular music sites and then, get easily on your iPhone too.